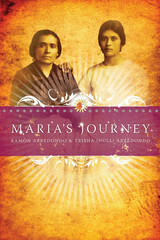 Born into the Mexican Revolution, Maria Perez entered an arranged marriage at age fourteen to Miguel Arredondo. The couple and their tiny daughter immigrated to the United States in the 1920s, living in a boxcar while Miguel worked for a Texas railroad and eventually settling in East Chicago, Indiana, where Miguel worked for Inland Steel. Their story includes much of early-twentieth-century America: the rise of unions, the plunge into the Great Depression, the patriotism of World War II, and the starkness of McCarthyism. It is flavored by delivery men hawking fruit and ice, street sports, and Saturday matinees that began with newsreels. Immigration status colors every scene, adding to their story deportation and citizenship, generational problems unique to new immigrants, and a miraculous message of hope. The booklet opens with the Delaware Indians prior to 1818. White Americans quickly replaced the natives. Germanic people arrived during the mid-nineteenth century. African American indentured servants and free blacks migrated to Indianapolis. After the Civil War, southern blacks poured into the city. Fleeing war and political unrest, thousands of eastern and southern Europeans came to Indianapolis. Anti-immigration laws slowed immigration until World War II. Afterward, the city welcomed students and professionals from Asia and the Middle East and refugees from war-torn countries such as Vietnam and poor countries such as Mexico. Today, immigrants make Indianapolis more diverse and culturally rich than ever before. 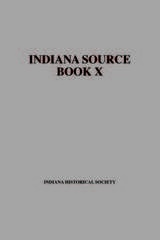 In Indiana to 1816: The Colonial Period (vol. 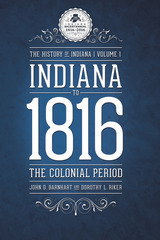 1, History of Indiana Series), authors John D. Barnhart and Dorothy L. Riker present Indiana's past from its prehistory through the advance to statehood. Topics covered include the French and British presence, the American Revolution, and the territorial days. 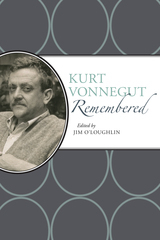 Reprinted in 1999, the book includes a bibliography, notes, and index. 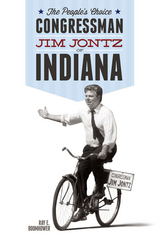 This first-ever biography of Congressman Jim Jontz examines his remarkable long-shot political career and lifetime involvement in local, state, and national environmental issues. As a liberal Democrat (he preferred the terms progressive or populist) usually running in conservative districts, Jontz had political pundits predicting his defeat in every election only to see him celebrating another victory with his happy supporters, always clad in a scruffy plaid jacket with a hood from high school that he wore for good luck. “I always hope for the best and fight for the worst,” said Jontz. He won five terms as state representative for the Twentieth District (Benton, Newton, Warren, and White Counties), served two years in the Indiana Senate, and captured three terms in the U.S. Congress representing the sprawling Fifth Congressional District in northwestern Indiana that stretched from Lake County in the north to Grant County in the south. Jontz told a reporter that his political career had always “been based on my willingness and role as a spokesman for the average citizen.” In his career Jontz also led an unsuccessful campaign to stop the passage of the North American Free Trade Agreement with the Citizens Trade Campaign, helped protect the Endangered Species Act when it was under attack in the 1990s as director of the Endangered Species Coalition, campaigned to save old-growth forests as executive director of the Western Ancient Forest Campaign, and tried to foster progressive causes as president of the Americans for Democratic Action. 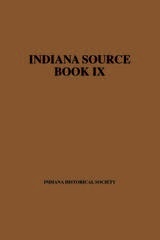 In Indiana 1816–1850: The Pioneer Era (vol. 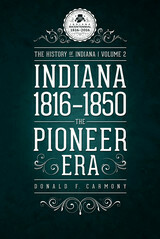 2, History of Indiana Series), author Donald F. Carmony explores the political, economic, agricultural, and educational developments in the early years of the nineteenth state. 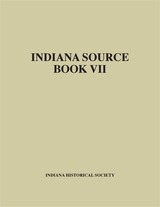 Carmony's book also describes how and why Indiana developed as it did during its formative years and its role as a member of the United States. 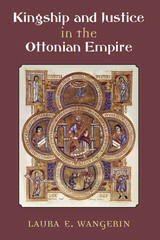 The book includes a bibliography, notes, and index. Since 1976, Dan Carpenter’s writing has appeared in the pages of the Indianapolis Star as a police reporter, book critic, and renowned op-ed columnist. 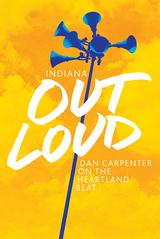 In writing for the state’s largest newspaper, Carpenter has covered the life and times of some notable Hoosiers, as well as serving as a voice for the disadvantaged, sometimes exasperating the Star’s readership in central Indiana as the newspaper’s “house liberal.” Indiana Out Loud is a collection of the best of Carpenter’s work since 1993 and includes timely and engaging examinations of the lives of such intriguing people as wrestling announcer Sam Menacker, survivor of the James Jones People’s Temple massacre Catherine Hyacinth Thrash, Indianapolis African American leader Charles “Snookie” Hendricks, Atlas Grocery impresario Sid Maurer, and coaches James “Doc” Counsilman and Ray Crowe. The book also includes a healthy dose of literary figures, politicians, historians, knaves, crooks, and fools. In 1903 Alaska governor John Brady collected fifteen old totem poles for preservation at Stika National Historical Park, creating one of the most famous collections of totem poles in the world. One pole became separated, and its fate remained a mystery for nearly ninety years. This revised edition of Home before the Raven Caws unravels the mystery of that missing pole from the Brady collection. The old Alaskan pole found its way to Indiana over a hundred years ago. A new version of the pole stands today at the Eiteljorg Museum of American Indians and Western Art in Indianapolis. 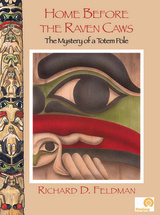 The first portion of the book serves as a general primer of the history and cultural significance, identification, carving, and raising of totem poles. 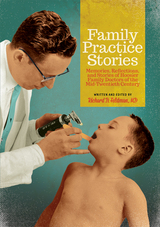 An initiative of the Indiana Academy of Family Physicians and the Indiana Academy of Family Physicians Foundation, Family Practice Stories is a collection of tales told by, and about, Hoosier family doctors practicing in the middle of the twentieth century. The stories celebrate that time in America considered to be the golden age of generalism in medicine---a time that conjures up Norman Rockwell’s familiar archetypal images of the country family doctor and a time when the art of healing was at its zenith. In April 1917 a sophomore at Indiana University, inspired by his grandfather's service in the Union army during the Civil War, left school and enlisted with a National Guard unit in Indianapolis that became the 150th Field Artillery Regiment. Before long the young man, Elmer W. Sherwood, found himself fighting in France. 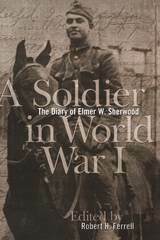 Sherwood kept a diary of his time overseas, including his experiences in the army of occupation following the war's end. A Soldier in World War I: The Diary of Elmer W. Sherwood captures the words of the Hoosier as he wrote them on the front lines. The book also includes a shipboard diary Sherwood sent home from France shortly after his arrival, which appeared in his hometown newspaper. 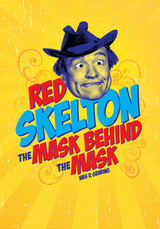 For more than twenty years, Hoosier comic Red Skelton entertained millions of viewers who gathered around their television sets to delight in the antics of such notable characters as Freddie the Freeloader, Clem Kaddiddlehopper, Cauliflower McPugg, and Sheriff Deadeye. Noted film historian Wes D. Gehring examines the man behind the characters—someone who never let the facts get in the way of a good story. 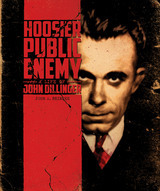 Gehring delves into Skelton's hardscrabble life with a shockingly dysfunctional family in the southern Indiana community of Vincennes, his days on the road on the vaudeville circuit, the comedian's early success on radio, his up-and-down movie career with Metro-Goldwyn-Mayer, and his sometimes tragic personal life. Born in Winchester, Indiana, Robert Wise spent much of his youth sitting in darkened movie theaters enthralled by the swashbuckling heroics of screen legend Douglas Fairbanks Sr. 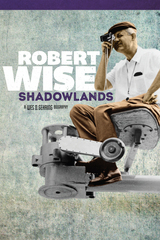 Through these viewings, Wise developed a passion for film—a passion he followed for the rest of his life, making movies in Hollywood. Nationally known film historian Wes D. Gehring explores Wise’s life from his days in the Hoosier State to the beginning of his movie career at RKO studios working as the editor of Orson Welles’s classic movie Citizen Kane. Wise is best known for producing and directing two of the most memorable movie musicals in cinema history, West Side Story (co-director Jerome Robbins) and The Sound of Music, for which he won four Academy Awards—two Best Picture and Best Directors Oscars. But, as Gehring notes, other than Howard Hawks, Wise was arguably Hollywood’s most versatile director of various celebrated genre films. 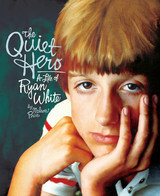 The poster-child victim of a dysfunctional family from Beech Grove, Indiana, Steve McQueen experienced an unsettled early life with a rebellious and alcoholic mother. 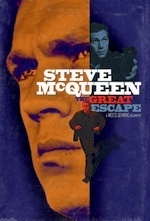 McQueen channeled his difficult childhood into a masterful career on screen portraying tough, self-sufficient characters in such iconic films as The Magnificent Seven (1960), The Great Escape (1963), The Sand Pebbles (1966), Bullitt (1968). Gehring explores how McQueen rose from his days as a troubled youth into one of Hollywood’s top box-office stars, and how he attempted to ease the lives of other troubled youth. Gehring delves into McQueen’s early success, his rocky relationships with women, his sense of humor, his love of fast cars and motorcycles, and his often neglected acting. 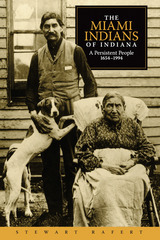 In the second volume of the IHS Press’s Peopling Indiana Series, anthropologist Elizabeth Glenn and ethnohistorian Stewart Rafert put readers in touch with the first people to inhabit the Hoosier state, exploring what it meant historically to be an Indian in this land and discussing the resurgence of native life in the state today. Many natives either assimilated into white culture or hid their Indian identity. World War II dramatically changed this scenario when Native Americans served in the U.S. military and on the home front. Afterward, Indians from many tribal lineages flocked to Indiana to find work. Along with Indiana's Miami and Potawatomi, they are creating a diverse Indian culture that enriches the lives of all Hoosiers. Meredith Nicholson stands as the most Hoosier of all Indiana writers, serving as an outspoken advocate for his state. 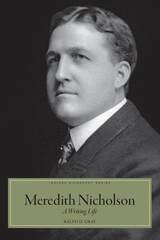 Indiana literary historian Arthur S. Shumaker called Nicholson the “most rabid” of Indiana’s major authors. In addition to writing such national best-sellers as Zelda Dameron and The House of a Thousand Candles, his best-known work, Nicholson won praise as an insightful essayist, with his work published in such national magazines as the Saturday Evening Post and Atlantic Monthly. "His inherent belief in democracy and democratic values, and his unapologetic patriotism permeate his essays," notes Gray, "some of which excoriated the Ku Klux Klan and upheld the rights and virtues of women, attitudes not always popular at the time." 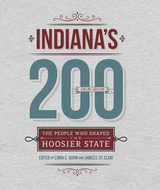 Part of the Indiana Historical Society's commemoration of the nineteenth state's bicentennial, Indiana's 200: The People Who Shaped the Hoosier State recognizes the people who made enduring contributions to Indiana in its 200-year history. 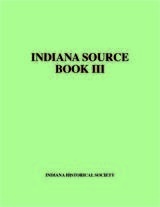 Written by historians, scholars, biographers, and independent researchers, the biographical essays in this book will enhance the public's knowledge and appreciation of those who made a difference in the lives of Hoosiers, the country, and even the world. Subjects profiled in the book include individuals from all fields of endeavor: law, politics, art, music, entertainment, literature, sports, education, business/industry, religion, science/invention/technology, as well as "the notorious." 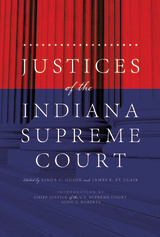 From its inception in 1816 until 2010, 105 Hoosiers have been members of the Indiana Supreme Court. In this multiauthor volume, edited by Linda C. Gugin and James E. St. Clair, authors explore the lives of each justice, unearthing not only standard biographical information but also personal stories that offer additional insight into their lives and times. In 1987 Franklin College of Indiana hosted an observance of the bicentennial of the Northwest Ordinance. Professional and amateur historians, folklorists, scholars in the arts, teachers, and students gathered to examine the provisions of that historic document and the governmental structure it created for the frontier lands north of the Ohio River. 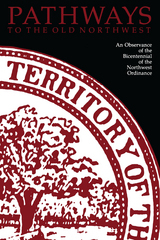 Pathways to the Old Northwest: An Observance of the Bicentennial of the Northwest Ordinance presents six of the lectures delivered at the conference. These lectures represent current knowledge about the early history of the Ohio River-Great Lakes area, the circumstances surrounding passage of the Ordinance, the beginnings of government and society, and the ethnic diversity of the region's people. William Taylor Stott was a native Hoosier and an 1861 graduate of Franklin College, who later became the president who took the college from virtual bankruptcy in 1872 to its place as a leading liberal arts institution in Indiana. The story of Franklin College is the story of W. T. Stott, yet his influence was not confined to the school’s parameters. Stott was an inspirational and intellectual force in the Indiana Baptist community, and a foremost champion of small denominational colleges and of higher education in general. He also fought in the Eighteenth Indiana Volunteer Infantry during the Civil War, rising from private to captain by 1863. 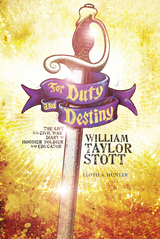 Stott’s diary reveals a soldier who was also a scholar. As Giant Steps opens, thirteen-year-old Bernie Epperson of Lafayette, Indiana, is wrestling with double standards placed on her compared with her brothers. Soon her cousin awakens her to all the unfair restrictions women face, and Bernie becomes a suffragette. Meanwhile, World War I begins. Her family is devastated when her brothers become soldiers, and Bernie must decide how to help the war effort and continue to fight for women’s rights. 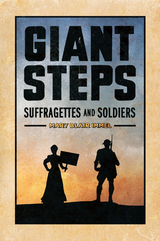 While this story is fictional, the details of the suffrage movement and the war efforts of ordinary Americans are true. Middle and high school students will relate to Bernie and her brothers’ dilemmas a century ago because they also face making decisions in a turbulent world while sifting through contradictory news and changing wisdom. Rebel Bulldog tells the story of Preston Davidson, a Northerner who fought for the Confederacy, and his family who lived in Indiana and Virginia. It is a story that examines antebellum religion, education, reform, and politics, and how they affected the identity of not just one young man, but of a nation caught up in a civil war. 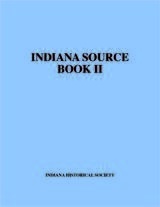 Furthermore, it discusses how a native-born Hoosier reached the decision to fight for the South, while detailing a unique war experience and the postwar life of a proud Rebel who returned to the North after the guns fell silent and tried to remake his life in a very different state and nation than the ones he had left in 1860. 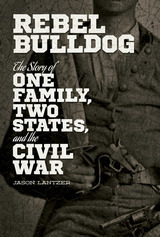 Using the lives of Preston and his family as a lens to help us glimpse the past, Rebel Bulldog delves into the human experience on multiple levels, asks us to reconsider what we think we know of the Civil War, and complicates, while it complements the existing literature. It is a story that perhaps could only have happened in Indiana. 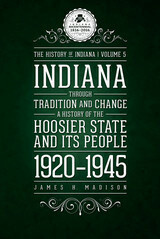 In Indiana through Tradition and Change: A History of the Hoosier State and Its People, 1920–1945 (vol. 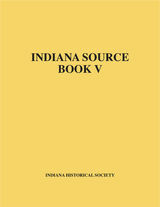 5, History of Indiana Series), author James H. Madison covers Indiana during the period between World War I and World War II. 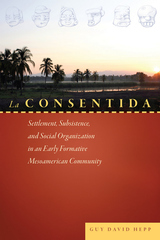 Madison follows the generally topical organization set by previous volumes in the series, with initial chapters devoted to politics and later chapters to social, economic, and cultural questions. 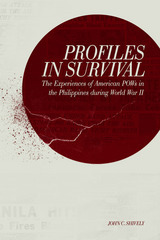 The last chapter provides an overview of the home front during World War II. Each chapter is intended to stand alone, but a fuller understanding of subjects and themes treated in any one chapter will result from a reading of the whole book. 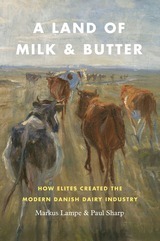 The book includes a bibliography, notes, and index. 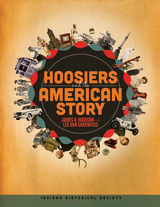 A supplemental textbook for middle and high school students, Hoosiers and the American Story provides intimate views of individuals and places in Indiana set within themes from American history. During the frontier days when Americans battled with and exiled native peoples from the East, Indiana was on the leading edge of America’s westward expansion. As waves of immigrants swept across the Appalachians and eastern waterways, Indiana became established as both a crossroads and as a vital part of Middle America. 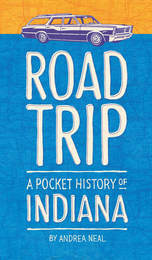 Indiana’s stories illuminate the history of American agriculture, wars, industrialization, ethnic conflicts, technological improvements, political battles, transportation networks, economic shifts, social welfare initiatives, and more. In so doing, they elucidate large national issues so that students can relate personally to the ideas and events that comprise American history. 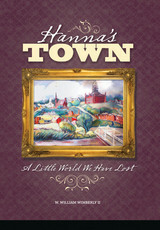 At the same time, the stories shed light on what it means to be a Hoosier, today and in the past. During the American Civil the Wabash Intelligencer and the Wabash Plain Dealer frequently printed letters from Wabash County men serving in the Union army. The letter writers are a remarkable cast of characters: young and old, soldiers, doctors, ministers, officers, enlisted men, newspaper men, and a fifteen-year-old printers’ devil who enlisted as a drummer boy. These are not stories of generals or battle strategies; they are the stories of the ordinary soldiers and their everyday lives. They describe long tiring marches across state after state, crossing almost impossible terrain, facing shortages of rations and supplies, enduring extremes of weather where they froze one day and sweltered the next, and encountering guerrillas that harried the wagon trains. The correspondents wrote of walking over the bodies of fallen comrades and foes alike, of mules and their wagons sinking into muddy roads that became like quicksand, of shipwrecks, and of former slaves. 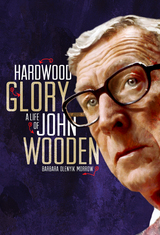 The tenth volume in the Indiana Historical Society Press’s celebrated Youth Biography Series examines the life of a man who helped define college basketball in the twentieth century and became an icon of American sports—John Wooden. He was born in the small Indiana town of Martinsville near the start of the last century. His claim to fame came first as an accomplished athlete, helping his high school basketball team compete in three state championship games, then earning All-American honors three times in his home state as a starting guard at Purdue University. After briefly teaching high school English and coaching several sports in Dayton, Kentucky, Wooden returned to Indiana, where he launched a successful career coaching basketball at South Bend Central High School and later at Indiana State Teachers College (now Indiana State University) in Terre Haute. In 1948, at age thirty-seven, Wooden moved west, as did many Americans in the post-World War II era. He took over the head basketball job at the University of California at Los Angeles, a school with virtually no basketball tradition. He took his family and his coaching skills with him. He also took his midwestern values. For the next six decades he remained in Southern California, creating a basketball dynasty at UCLA and solidifying his place as one of the sporting world’s greats. When he died on June 4, 2010, at the Ronald Reagan UCLA Medical Center, he was four months shy of his hundredth birthday. Wooden’s success as a college coach was unprecedented and, in pure numbers, staggering. From 1964 to 1975, he led the UCLA Bruins men’s basketball team to ten National Collegiate Athletic Association national basketball championships, including seven in a row—a feat that may never be matched. During that string of championships, he coached the Bruins to four perfect 30–0 seasons, an NCAA men’s record that still stands. He also coached UCLA to an eighty-eight-game winning streak, yet another unrivaled men’s record. Over the course of his twenty-seven seasons at UCLA, he mentored All-Americans such as Kareem Abdul-Jabbar and Bill Walton, earned the respect of legions of players, and inspired countless would-be roundballers and coaches alike. These achievements put Wooden in the company of legendary coaches throughout the field of sports. Even in that elite company, he fared especially well. In 2009 Sporting News magazine asked more than one hundred coaches and sports experts to name the greatest coach of all time in any sport. Not surprisingly, coaching giants such as the Green Bay Packers’s Vince Lombardi, Notre Dame’s Knute Rockne, the Boston Celtics’s Red Auerbach, and New York Yankees’s Casey Stengel ranked in the top ten; Wooden stood at number one the list. Long before that ranking, however, awards and honors flowed Wooden’s way. In 1973 he was inducted into the Naismith Basketball Hall of Fame as coach, making him the first to be honored as both a player and a coach. (He received the honor as a player in 1960.) In 1977 college basketball’s annual player-of-the-year award was named for him. The NCAA bestowed its highest honor, the Theodore Roosevelt award, on Wooden in 1995. And in 2006 the National Collegiate Basketball Hall of Fame in Kansas City, Missouri, honored him as a member of the founding class, along with basketball inventor Doctor James Naismith. Accolades also poured in from outside the sports world. In 2003 President George W. Bush awarded Wooden the Presidential Medal of Freedom, American’s highest civilian honor. Two years later, Indiana bestowed on him its highest honor, the Sachem, an award recognizing a lifetime of excellence and virtue. In earlier decades, entities ranging from service clubs to faith-based organizations to universities rushed to salute not only his accomplishments but also his character. In March 1824 a group of angry and intoxicated settlers brutally murdered nine Indians camped along a tributary of Fall Creek. The carnage was recounted in lurid detail in the contemporary press, and the events that followed sparked a national sensation. Murder in Their Hearts: The Fall Creek Massacre tells that, although violence between settlers and Native Americans was not unusual during the early nineteenth century, in this particular incident the white men responsible for the murders were singled out and hunted down, brought to trial, convicted by a jury of their neighbors, and, for the first time under American law, sentenced to death and executed for the murder of Native Americans. As July 7, 1861, dawned, war was in the air in Lexington, Indiana. The county seat of Scott County was abuzz with the latest news of the southern rebellion. The _Madison Daily and Evening Courier_ told of skirmishes between Federal troops and “secesh” forces at Harpers Ferry and Falling Waters, Virginia. Closer to home, word had come that William A. Sanderson had organized a new outfit, the Twenty-Third Indiana, and was recruiting throughout the Second Congressional District for men to join the regiment. Although Scott County had been rife with sympathy and support for the South, answering the call to serve the Union cause from the county were Jacob T. Kimberlin, a twenty-one-year-old farmhand; his older brother, John J.; and his cousins, William H. H. Kimberlin, Benjamin F. Kimberlin, and James Stark. These five young men could not have known at the time that none of them would ever again see their homes. They only knew that the Kimberlins were going to war. 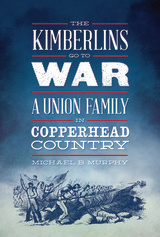 This is the story of the Kimberlin family that sent thirty-three fathers and sons, brothers and cousins, to fight for the Union during the Civil War. Ten family members were killed, wounded, or died of battlefield disease, a 30 percent casualty rate that is unmatched in recorded Scott County history. Of the 134 known deaths of Scott County soldiers, ten were members of the Kimberlin clan. Their feelings about the war come from forty letters to and from the battlefield that have survived to this day. The book examines such questions as: Were they fighting to save the Union or to free the slaves? How did they express grief over the loss of a brother? Did they keep up with their business and the women at home? And what did they think about “secesh” neighbors in southern Indiana who tried to undermine the Union? The bicentennial of Indiana's statehood in 2016 is the perfect time for Hoosiers of all stripes to hit the road and visit sites that speak to the nineteenth state's character. In her book, Andrea Neal has selected the top 100 events/historical figures in Indiana history, some well known like George Rogers Clark, and others obscured by time or memory such as the visit of Marquis de Lafayette to southern Indiana. These highly readable essays and the photographs that accompany them feature a tourist site or landmark that in some way brings the subject to life. This will enable interested Hoosiers to travel the entire state to experience history firsthand. Related activities and sites include nature hikes, museums, markers, monuments, and memorials. The sites appear in chronological order, beginning with the impact of the Ice Age on Indiana and ending with the legacy of the bicentennial itself. 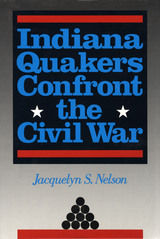 When members of the Society of Friends, or Quakers, first arrived in antebellum Indiana, they could not have envisioned the struggle which would engulf the nation when the American Civil War began in 1861. Juxtaposed with its stand against slavery a second tenet of the Society's creed--adherence to peace--also challenged the unity of Friends when the dreaded conflict erupted. 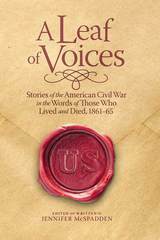 Indiana Quakers Confront the Civil War chronicles for the first time the military activities of Indiana Quakers during America's bloodiest war and explores the motivation behind the abandonment, at least temporarily, of their long-standing testimony against war. What happened to the Indians of the Old Northwest Territory? Conflicting portraits emerge and answers often depend on who’s telling the story, with each participant bending and stretching the truth to fit their own view of themselves and the world. 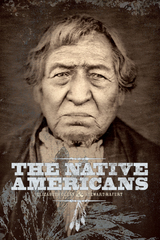 This volume presents biographical sketches and first-person narratives of Native Americans, Indian traders, Colonial and American leaders, and events that shaped the Indians’ struggle to maintain possession of their tribal lands in the face of the widespread advancement of white settlement. It covers events and people in the Old Northwest Territory from before the American Revolution through the removal of the Miami from Indiana in 1846. As America’s Indian policy was formed, and often enforced by the U.S. military, and white settlers pushed farther west, some Indians fought the white intruders, while others adopted their ways. In the end, most Indians were unable to hold their ground, and the evidence of their presence now lingers only in found relics and strange-sounding place names. 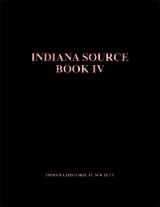 Politics has always played an important role in Indiana, and the state itself at one time furnished candidates for national office for an assortment of American political parties. From 1840, when Whig William Henry Harrison captured the White House with his “Tippecanoe and Tyler too” campaign, to 1940, when Wendell Willkie won the Republican presidential nomination and challenged incumbent President Franklin D. Roosevelt's try for a third term in office, approximately 60 percent of the elections had Hoosiers on a party’s national ticket. 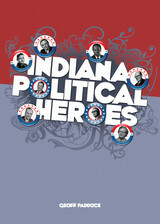 Indiana Political Heroes features essays on eight Hoosier politicians who have made a difference in Indiana and in the nation’s capital. At the age of fourteen, a young man in Waveland, Indiana, had taken over the family farm after the death of his father. Now responsible for taking care of his widowed mother and supporting his four brothers, he took up the reins on the plow to begin preparing the field for planting. Family legend has it that the young farmer, Theodore Clement Steele, tied “colored ribbons to the handles of the plow so that he could watch the ribbons in the wind and the effect that they had on the [surrounding] colors.” Recognizing Steele’s passion for art, his mother supported his choice to make his living as an artist. 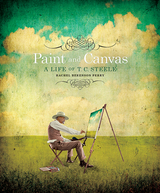 T. C. Steele, the eighth volume in the Indiana Historical Society Press’s youth biography series, traces the path of Steele’s career as an artist from his early studies in Germany to his determination to paint what he knew best, the Indiana landscape. Steele, along with fellow artists William Forsyth, Otto Stark, Richard Gruelle, and J. Ottis Adams, became a member of the renowned Hoosier Group and became a leader in the development of Midwestern art. First published in 1966, this account of the life and work of T.C. Steele, one of Indiana's most renowned artists, has become a much-sought-after classic. For this reissue, sixty-two of the book's seventy-six illustrations, including all ten color plates, have been newly photographed and reproduced according to the highest modern standards. The text, unchanged from the first edition, includes a brief biography by the painter's grandson, Theodore L. Steele; a poetic memoir of Steele's last Brown County years by Selma N. Steele; and an appreciation of Steele's work by art historian Wilbur D. Peat. 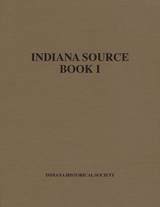 In Indiana in Transition: The Emergence of an Industrial Commonwealth, 1880–1920 (vol. 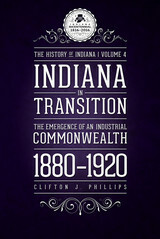 4, History of Indiana Series), author Clifton J. Phillips covers the period during which Indiana underwent political, economic, and social changes that furthered its evolution from a primarily rural-agricultural society to a predominantly urban-industrial commonwealth. The book includes a bibliography, notes, and index. 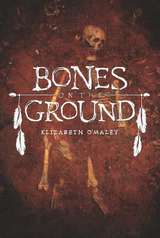 When fourteen-year-old Cody Carter’s grandfather gives him a box of dusty leather journals written by their Carter ancestors, even the history-loving Cody could not have predicted the adventure he was about to take. Journal by journal, Cody is physically transported back in time to experience the lives of Carters on the frontier in North Carolina, Tennessee, and Indiana as the family moved ever westward in the eighteenth and nineteenth centuries. He hunts with Daniel Boone, huddles in a frontier fort under siege, makes friends with Native Americans in the Indiana Territory, operates a lock on the Whitewater Canal, hides slaves on the Underground Railroad, and experiences defeat at the Battle of Corydon. Ultimately, Cody confronts the difficult questions of war, westward expansion, and slavery while living the history of everyday people. 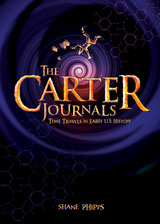 Written by an eighth-grade history teacher determined to bring the past to life for his students, The Carter Journals reminds us that history is all around us---and that we daily make history of our own. Now scattered in small communities in northern Indiana, the Eastern Miami Indians, once a well-known tribe, have lived in undeserved obscurity since the 1840s. In recent years they have become more visible as they have sought restoration of treaty rights and have revitalized their culture. The post-removal history of the Indiana Miami tribe is a rich texture of social, legal, and economic history, much enhanced by folklore and a rich series of photographic images. In The Miami Indians of Indiana: A Persistent People, 1654–1994, Rafert explores the history and culture of the Miami Indians. The stories of seven men and one woman from Indiana who survived the horrors of captivity under the Japanese in the Pacific during World War II are captured in vivid detail. These Hoosiers were ordered to surrender following the fall of Bataan and Corregidor in 1942. It was the largest surrender of American armed forces in U.S. history and the beginning of three years of hell starting with the infamous Bataan Death March, facing brutal conditions in POW camps in the Philippines, and horrific journeys to Japan for some onboard what came to be known as “hellships.” Former Indiana governor Edgar D. Whitcomb, one of those featured in the book, notes that the American prisoners had to endure “unimaginable misery and brutality at the hands of sadistic Japanese guards,” as they were routinely beaten and many were executed for the most minor offenses, or for mere sport. In addition to Whitcomb, those profiled include Irvin Alexander, Harry Brown, William Clark, James Duckworth, Eleanor Garen, Melvin McCoy, and Hugh Sims. Thirty-two years after the battle of Shiloh, Lew Wallace returned to the battlefield, mapping the route of his April 1862 march. Ulysses S. Grant, Wallace's commander at Shiloh, expected Wallace and his Third Division to arrive early in the afternoon of April 6. Wallace and his men, however, did not arrive until nightfall, and in the aftermath of the bloodbath of Shiloh Grant attributed Wallace's late arrival to a failure to obey orders. By mapping the route of his march and proving how and where he had actually been that day, the sixty-seven-year-old Wallace hoped to remove the stigma of "Shiloh and its slanders." That did not happen. 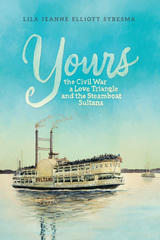 Shiloh still defines Wallace's military reputation, overshadowing the rest of his stellar military career and making it easy to forget that in April 1862 he was a rising military star, the youngest major general in the Union army. Wallace was devoted to the Union, but he was also pursuing glory, fame, and honor when he volunteered to serve in April 1861. 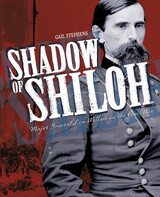 In Shadow of Shiloh: Major General Lew Wallace in the Civil War, author Gail Stephens specifically addresses Wallace's military career and its place in the larger context of Civil War military history. 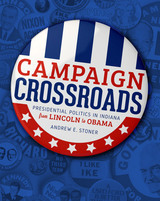 Campaign Crossroads looks back over the varied, sometimes important, sometimes irrelevant, but always interesting presidential campaign cycles in Indiana’s history. By taking in the influences of technology, transportation and communication itself, we see an evolution in the political process that is not only altogether Hoosier, but also altogether American in its quality and importance. Using a narrative approach with a mix of primary and secondary sources, the work examines not only the rhetoric of presidents and presidential hopefuls, but also the nature of campaigns and their impact on Indiana communities. While Indiana enjoyed the position of being a battleground state for the better part of a century from the 1870s until the 1960s, it has also been ignored, dismissed, and has on occasion created unexpected political drama. When the Bass Photo Company began its operations, Indiana had been a state for less than a hundred years, photography was less than seventy-five years old, and Indianapolis's centennial was more than a decade away. The capital city was growing rapidly. The Bass Photo Company photographed the local automobile industry, the rise of new office buildings, and activity along the commercial hub of Washington, Illinois, Meridian and Market streets. 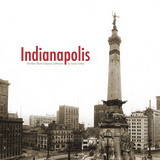 Included in the volume are 182 nostalgic images of the Indianapolis 500 Mile Race, leisure activities, individual portraits, street scenes, Monument Circle, a parade of returning World War I soldiers and more. 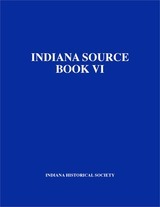 In Indiana in the Civil War Era, 1850–1880 (vol. 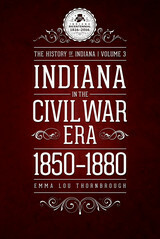 3, History of Indiana Series), author Emma Lou Thornbrough deals with the era of the Civil War and Reconstruction. 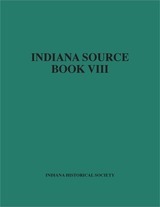 Thornbrough utilized scholarly writing as well as examined basic source materials, both published and unpublished, to present a balanced account of life in Indiana during the Civil War era, with attention given to political, economic, social, and cultural developments. The book includes a bibliography, notes, and index. 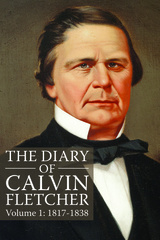 Calvin Fletcher, born in Vermont in 1798, came to Indiana from Ohio in 1821, and in the next forty-five years made a fortune, raised eleven children, and was a pillar of the community. This pioneer Indianapolis lawyer, banker, and philanthropist kept a diary for most of his long life, and in it he recorded both the growth of his family and his community. Whether complaining, criticizing, observing shrewdly, or agonizing, Fletcher emerges as both a complex and unforgettable human being. Each of the set's nine volumes has a preface, chronology, and index. 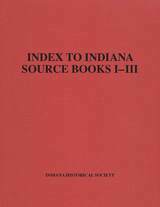 Volume nine includes a cumulative index. In 1872 Lyman Ayres acquired a controlling interest in the Trade Place, a dry-goods store in Indianapolis. Two years later, he bought out his partners and renamed the establishment L. S. Ayres and Company. For the next century, Ayres was as much a part of Indianapolis as Monument Circle or the Indianapolis 500. Generations of midwestern families visited the vast store to shop, to see the animated Christmas windows, and, of course to visit Santa Claus and enjoy lunch in the Tea Room. But Ayres was more than just a department store. At its helm across three generations was a team of visionary retailers who took the store from its early silk-and-calico days to a diversified company with interests in specialty stores and discount stores (before Target and Wal-Mart). At the same time, Ayres never lost sight of its commitment to women’s fashion that gave the store the same cachet as its larger competitors in New York and Chicago. In late autumn 1902 a macabre scene unfolded at the original burial ground of Wabash, which had been called both the Old Cemetery and Hanna's Cemetery. The task at hand was the disinterment of four bodies. The newest of the four graves held whatever might be left of the corpse of Colonel Hugh Hanna who, more than any other single citizen, was the founding father and civic icon of the prosperous and picturesque community. 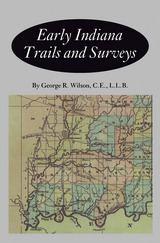 This book tells the story of a town that rose from the wilderness, one with a bustling economy, a sense of community, civic pride, broad economic connections, architectural achievements, and various other cultural pretensions.